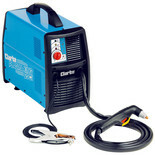 The Draper IPC41 Plasma Cutter Kit features microprocessor controlled inverter technology making it suitable for cutting any electrically conductive material. These superb professional units slice cleanly through mild/stainless steel, aluminium, brass & copper up to 6mm thick. 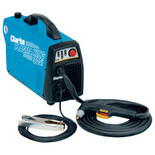 The SIP HG700 Plasma Cutter boasts infinitely variable output power settings, and a cutting capacity of 25mm for conductive materials including steel, copper, bronze, and aluminium. 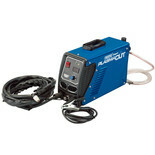 The HG500 Plasma Cutter features Inverter technology, which offers consistently accurate cutting of conductive materials including steel, stainless steel, copper, bronze, and aluminium.